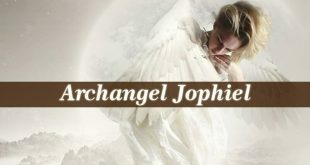 Archangel Phanuel – also known as the angel of peace. Firstly, his name means “The Face Of God”. He is often confused with Uriel, Raguel and Ramiel. You also find Archangel Phanuel under the name Fanuel. In Enoch 1, the prophet mentions Phanuel as the angel who “fends off the Satans” and then doesn’t allow them to “come before the Lord of spirits to accuse them who dwell on earth”. 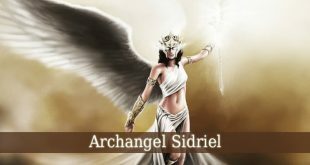 In the same texts, Phanuel is equated with Archangel Uriel. Enoch also lists Phanuel between the angels of peace. They seize the fallen angels, bind them and then cast them into fire. 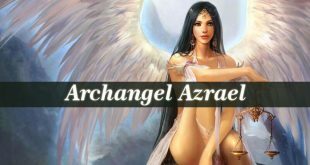 Also, in IV Ezra, the archangel is equated with Ramiel or Jeremiel. 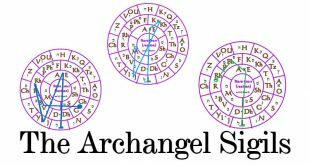 The Sibylline Oracles mention Archangel Phanuel as one of the 5 holy archangels who know every evil that men ever done. But the most important texts that describe Phanuel the most are Baruch 3. It was written between 100-300 C.E. and it describes the celestial realm in great detail. The main characters of these texts are Michael and Phanuel. Here, Archangel Phanuel is the heavenly guide. He guides Baruch through the Heavens. 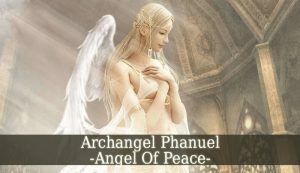 Archangel Phanuel is the divine angel of peace. He is one of the Angels Of The Lord also called Angels of Great Counsel. He is one of the 4 angels of the presence, next to Michael, Raphael and Gabriel. Phanuel is also the angel of repentance. 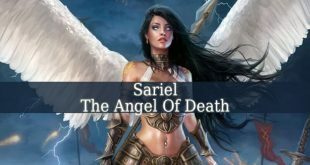 This title was given to other angels either such as: Michael, Penuel, Raphael, Salathiel and Suriel. This beautiful angel is the divine patron of sanctification. 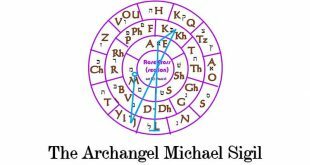 A position shared with Michael, Metatron, Suriel and Zagzagael. Phanuel is also one of The Angel Of The Lord Of Spirits, as described in Enoch I. And his divine responsibility is to set over the actions of repentance for the hope of those who will inherit the eternal life. Therefore, he is a great guide for those who seek eternal life Phanuel is also a great protector angel. He protects you from the evil spirits.